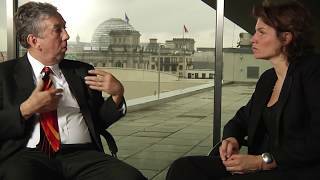 Trimming the public sector, reducing corporate taxes and removing the role of government from the economy – the policy recipe for creating a dynamic, innovative economy, right? “Absolutely not!” says Mariana Mazzucato, the world’s foremost expert on policy innovation and public/private sector partnerships focused on 21st century missions. The rapid withdrawal of government from the business of innovation poses long-term risks, and it is the rising entrepreneurs and innovators who have the most to lose from a dearth of state-led investment. 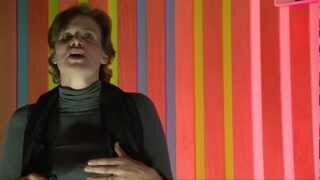 Mazzucato, an esteemed academic, experienced practitioner and gifted orator, has a groundbreaking and incisive lesson that is both urgent and sobering: to rescue our economy from the next, inevitable crisis and foster long-term economic growth, we need to rethink capitalism, redesign the role of public policy and redefine how we measure value in our society. 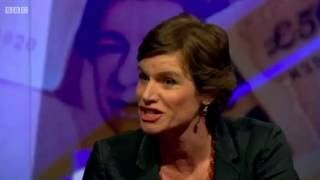 Chair of Economics of Innovation and Public Value and founding director of the Institute for Innovation and Public Purpose at University College London, Mazzucato focuses her research on the roles played by the private and public sectors in the risky business of financing technological research and development. She argues that whether cleaning up the environment, discovering new miracle cures or reaching defined goals in space exploration, the state must step outside the box of ‘market fixing’ and into actively shaping and co-creating new markets through economy-wide missions. These missions, which enable bottom-up innovation, focus on solving major societal problems by identifying actionable steps for change and bringing together experts from a variety of sectors with a wide range of skills. Having studied how Silicon Valley emerged as a global cluster of innovation and entrepreneurialism, Mazzucato concludes the U.S. government’s financial backing of cutting-edge research could never have been secured from the private sector alone. Organizations such as Tesla and Apple owe their success to public money and government-led missions to raise America’s competitive edge. But in a more than three-decade bout of “free market” dogma, we have lost sight of the practical approach that created great success in the past, a misunderstanding that Mazzucato’s work is dedicated to correcting. In America and abroad, Mazzucato sees an opportunity to tip the scales in a new direction, both in terms of innovation serving the needs of a green revolution, as well as a new form of sharing of both risks and rewards between private companies and public agencies. A dynamic writer, Mazzucato’s best-selling book, “The Entrepreneurial State: Debunking Public vs. Private Sector Myths” (Anthem 2013, Public Affairs 2015, Penguin 2018), on the Financial Times books of the year list and translated to more than 10 languages, is an urgent call to abandon false assumptions about how to foster innovation. 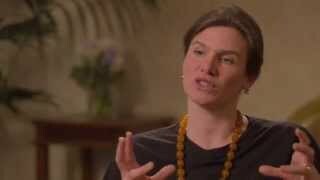 In her latest book, “The Value of Everything: Making and Taking in the Global Economy” (Penguin, April 2018), Mazzucato explains the economic problems even further, highlighting companies’ (albeit, misplaced) belief that by delivering greater prosperity for their shareholders they are somehow creating value, when in fact they are extracting and sometimes destroying it. From the way in which the financial sector has presented its “risk-taking” services as valuable to the economy, to how big pharma uses “value based pricing” to justify extraordinary increases in prices, the book documents in a surgical way the confused notions of value, and the dysfunctions this causes in the modern economy. 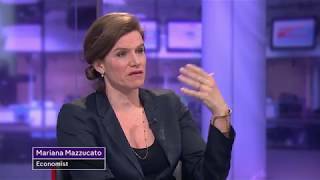 For more than two decades Mazzucato has helped public sector institutions, from Sitra in Finland to ArpaE in the U.S. and InnovateUK, implement her theories about state entrepreneurship and mission-oriented innovation. In her advisory role with the Scottish regional government, Mazzucato is a key consultant in the ongoing establishment of a national investment bank for Scotland, a body that will help finance long-term innovation and mission-focused market creation. Her mantra is that such funding should not be based on picking winners, but on picking the willing: those companies willing to invest, innovate and transform. 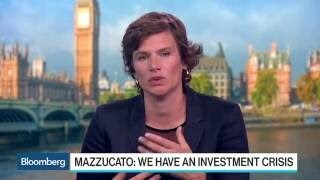 Mazzucato’s research projects include the relationship between finance, innovation and growth funded by the European Commission, public-private partnerships in low-earth orbit (funded by NASA and the European Space Agency) and Rethinking Medical Innovation funded by the Open Society Foundations. She is currently the Special Advisor for Carlos Moedas, the European Commissioner (EC) for Research, Science and Innovation, helping him steer €100 billion for innovation toward missions that require cross-sectoral problem solving. What has been widely called the “Mazzucato Report” on mission-oriented innovation in Europe, is currently undergoing consultation across the region. Arguably the world’s most tenacious economist – or according to The Times profile which praised her as the “scariest economist,” Mazzucato won the 2014 New Statesman SPERI Prize in Political Economy, the 2015 Hans-Matthöfer-Preis, the Leontief Prize for Advancing the Frontiers of Economic Thought (2018), and the 2019 All European Academies Madame de Staël Prize for Cultural Values. The New Republic named her one of the “3 most important thinkers about innovation” and she is on The Bloomberg 50 list of ‘Ones to Watch’ for 2019. Mazzucato earned her doctorate and master’s degrees in economics from The Graduate Faculty of the New School for Social Research, and a bachelor’s degree in arts, history and international relations from Tufts University. She spent two years conducting post-doctoral research at London Business School through a Marie Curie Fellowship. She has held academic positions at the University of Denver, the Bocconi Business School, London Business School, Sussex University and now UCL. Mariana Mazzucato is available for paid speaking engagements, including keynote addresses, speeches, panels, conference talks and advisory/consulting services through the exclusive representation of Stern Speakers, a division of Stern Strategy Group®. 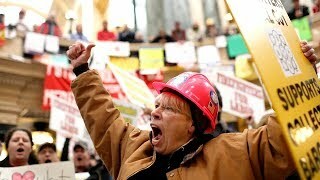 Is the Government More Entrepreneurial Than You Think? Many of the world’s leading companies – particularly in the tech, financial and pharmaceutical industries – are at their highest “valuations” in years. But the numbers regularly trumpeted by CEOs, pundits and politicians do not reflect the real value of companies and of our economy as a whole. Mariana Mazzucato’s extensive economic research shows that while many companies believe they “create” value through rent-seeking and price hikes, they also remain dependent on public money to innovate and grow. Companies are in fact extracting (and sometimes destroying) value, while the source of real value declines due to lower wages, lower tax revenues and hostility to state investment in industry. 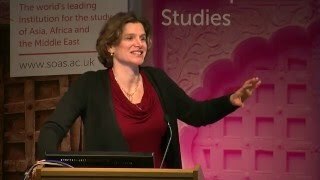 In this presentation based on her new book, “The Value of Everything: Making and Taking in the Global Economy” (Public Affairs, 2018), renowned economist and public policy expert Mazzucato analyzes where true value comes from in our economy, and reveals to business leaders why the amount of money generated by companies is not an accurate measurement of their long-term ability to produce, innovate and thrive. The problem, she believes, is that by accepting the conventional wisdom that delivering value for shareholders is the same as delivering value for the whole economy, we have confused value creation with value extraction. Mazzucato argues it is not just the public sector and taxpayers, but the private sector as well, that stands to lose from an economy whose real foundations are being continually eroded. The role of the state in innovation should not be as corrector of market failures and “lender of last resort,” but as investor of first resort, able to identify key sectors and technologies for investment and drive the innovative process. In a political climate where the government is synonymous with lethargic bureaucracy and the private sector is the hotbed of innovation – as well as the unfortunate target of stifling regulation – this notion may seem counterintuitive and radical. But Mariana Mazzucato argues that nearly all great technological change has been the product of government initiatives, from space travel to the iPhone. In this presentation, based on her best-selling book, “The Entrepreneurial State: Debunking Public vs. Private Sector Myths,” Mazzucato illustrates how contrary to popular belief, the private sector has generally been timid in putting up the money for groundbreaking technology, only doing so after public funds paved the way forward, and provides evidence and a practical framework for rethinking public-private partnerships. If policymakers and entrepreneurs alike do not acknowledge and embrace such a role for the state, the innovative breakthroughs of the past are unlikely to be repeated. The notion that innovation can help deliver economic growth for everyone without increasing inequality is a popular one with business theorists, economists and politicians. But in practice – where public funds are used by private companies to subsidize risk-taking – the rewards are generally reaped by companies, while the risks are borne by taxpayers. Mariana Mazzucato, who sees a vital role for government in risk-taking and innovation, says the key is not to withdraw the state as an actor in the economy, but to develop a new framework which socializes both risks and rewards. In a modern, globalized economy where tax rates are far lower than they once were, devising a way to give government equity in innovative companies is essential to ensuring funds for the public welfare are not depleted. 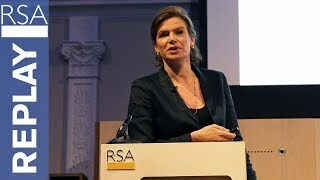 Based on her research and real-world involvement in such enterprises as the Scottish National Investment Bank, in this presentation, Mazzucato emphasizes the need to give the state, and by extension the taxpayers, a stake in the innovation they help fund, so the public at large (rather than just the private actors) can benefit from economic growth and dynamism. Bringing about the next generation of green technology is a perfect example of an undertaking that needs both public and private sector support. But simply pumping money into renewable energy and other environmentally friendly technologies can distort incentives, acting as a public subsidy for private industry. What was to be a public good can become yet another instance of rent-seeking at the taxpayers’ expense. In this presentation, Mariana Mazzucato outlines how government can move from subsidization to a goal-oriented approach to investing in green technology, focusing on how particular countries specialize in certain niches of the green economy. By building legitimate public/private sector partnerships – and emphasizing the quality of investment over the quantity of funds – policymakers and entrepreneurs can ensure taxpayer money is invested wisely in a program of inclusive growth and innovation, all while helping stem the tide of environmental degradation. It is taken for granted that governments should encourage economic growth and innovation, but pundits, politicians and academics sharply disagree over the proper course of action. Leading economist Mariana Mazzucato, who has researched and analyzed numerous instances of government-led innovation, says to truly invigorate a nation’s economy, a mission-oriented approach focused on solving major problems is required. Missions encourage, through public investment, collaboration across all sectors and industries toward a common goal. Using the example of America’s efforts in the 1960s to land a man on the moon, Mazzucato says government initiatives should tackle modern day ‘wicked’ missions – from those tackling climate change to those around health challenges – shaping market forces rather than just regulating and correcting them – an approach that resulted in the development of Silicon Valley when the U.S. last had a truly entrepreneurial state. 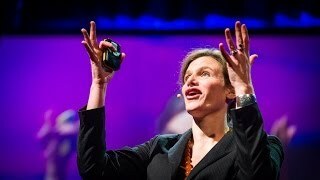 In this presentation, which draws heavily on Mazzucato’s own report to the European Commission on mission-oriented innovation, the economist outlines how economy-wide goals, from removing all plastic from the ocean to cutting instances of dementia in half, can drive new forms of public/private cooperation, “crowd in” private investment and make the countries and continents which embrace them innovative powerhouses. She argues that while the U.S. is forgetting these lessons, China is rising on the world stage by embracing them.